About the Children's Department: Curriculum Review - Large Group/Small Group - Tru from Cook! Curriculum Review - Large Group/Small Group - Tru from Cook! Scope is built around "revealing the wonder of Who God Is" for preschool and kindergarten children and "revealing the Big God Story of God's redemptive plan" for elementary kids." Each lesson closes with an opportunity for teachers/parents to pray a Scripture to bless each child - love this! tru is written with the goal of intentionally engaging children so they are able to remember, understand and live God's Word for genuinely changed lives. There are an abundance of options and tru begins their time with small group and then moves to large group time followed by small group time once again. This curriculum is well worth taking a look at to see if it may be a good "fit" for your ministry! Cook says, "If we are telling God's Story, shouldn't he be the Focus? Spiritual development can and should begin from the earliest age with parents as the primary nurturers of their children's faith. Tru resources support both the church and home with a focus on knowing God personally, igniting an passion for Christ, learning to listen to His Spirit, keeping Biblical content true to context and cultivating a concern for people's needs in our communities and the world." Cathi Philips, the children's pastor at Journey Church in Irvine, CA, and answered a few questions I had about tur; she had this to say: "We are a growing church of about 500 with a Children's Ministry of over 100 kids. 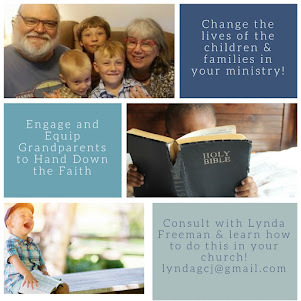 I have been in Children's Ministry for nearly 30 years and have gone through the cycles of using many different curricula. 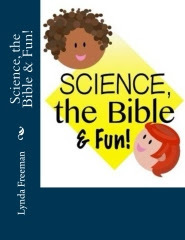 Many years ago, I partnered with a friend and co-authored our own elementary material which was a 3 year series: OT, NT and Values of the Bible. We did this because we were frustrated with various curricula which seemed to teach the same lessons year after year plus jumped from OT to NT throughout the year. We felt teaching the Bible chronologically helped kids see the big picture of the Bible. We used this material for many years and then went back to using other curricula. 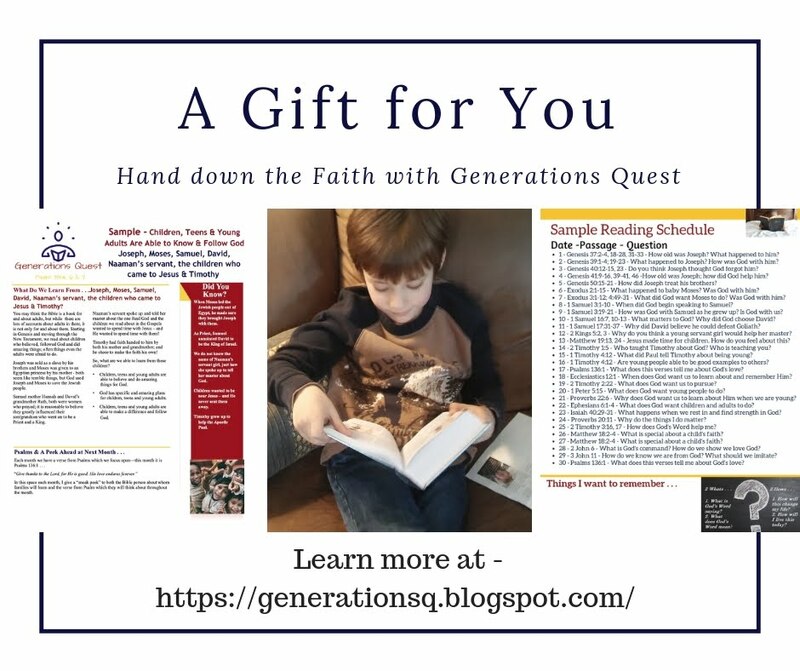 We were using a curriculum which my team felt was too "gamey" and lacking in Biblical content, so, in April 2010 when I came across the flyer about DCC's new material. TRU-- I was intrigued. How did you decide which curriculum to use? Many of my teaching team were ready to make a change. At first when I looked at Tru, honestly, I was a bit overwhelmed and wasn't sure if we could make the transition. So I contacted a friend who I noticed was on the flyer as a "Beta-church" and met with her. She explained the philosophy of Tru - how the parents are the primary nurturers of their child's faith and the resources which went along with equipping the parents to lead. I was hooked! By this time it was the beginning of July '10. Since we live near RockHarbor I contacted their Children's Pastor and asked if my team could observe their program. We were fortunate to observe both churches (my friends smaller church & Rock Harbor's) in action. We were amazed!! We loved the music, the story, the simplicity - yet depth of the program. Another thing which was attractive was the focus on knowing God and not on expensive staging and equipment. The rooms were simple, yet appealing. Since we are a smaller church we felt we could actually "do this"! We also loved seeing the kids engage in worship and responding to God. So, we took the plunge and in 4 weeks we turned around a traditional Sunday School program into a Large Group/Small group program and launched TruWonder (preschool/K) & TruStory (elementary). It was crazy but exciting and FUN! However, not all of my team were "on board". Several of our traditional Sunday School teachers had a difficult time with it (in particular - three of them) and were a bit resistant. However, God worked in an amazing way, of course. All three of these ladies agreed to give it a shot for the first year--even though they were not happy about it. What do you most like about the curriculum you are using? How the lessons engage the children into a deeper relationship with Christ thrills me. I love how the students are grasping they are a part of the Big God Story and every lesson reflects God; NOT a Bible Character. I especially value how when the students get to elementary school they learn the Bible chronologically with a different thread through the lessons: Covenant, Worship & Redemption. 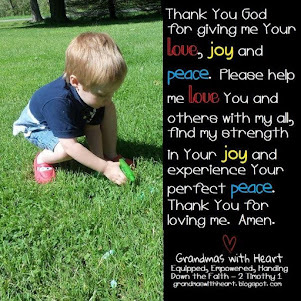 I love the precious prayer requests we get every week and what our children write in the prayer journals -- and the special time for RESPOND which connects them each week to God. I have to say, personally, switching to Tru has renewed my excitement about teaching children because I can't WAIT for them to experience God each week. It's like a new adventure observing God's handiwork week to week! What do your volunteers like most about the curriculum you are using? My volunteers are really enjoying Tru. Like I said before, I had a few who resisted, but they still are involved in Children's Ministry. I think the volunteers like the options which are offered and each week connects the dots to the Big God Story. Most of our parents jumped on board when we made the change three years ago. I would love to say all of our parents use the HomeFront resources, but this is not the case. We have a group of parents who were early adapters and jumped in from the start. And gradually, each year, we have added more families. Providing the Spiritual Parenting 6 week series has really helped in explaining our philosophy (parents being the nurturers of their child's faith) to parents. We currently offer this series during the summer. We have found when we explain our Children's Ministry philosophy and the resources we provide through Tru, visitor families seem to appreciate what we offer and it is one of the attractions to Journey. One way we attempt to provide a way to "model" using the HomeFronts resources is by offering a Family Worship time. We do this every 6 weeks and typically use one or more of the activities from the HomeFront monthlies during the gathering. We also pull ideas from the HomeFronts for our Mother/Daughter & Father/Son monthly meetings. I find the HomeFronts to be a rich resource for families, which makes me wish my kids were little again. Are you able to see how the kids are "getting it" with this curriculum? I think Journey kids enjoy the element of surprise each morning. What I mean is each Sunday is very different with a variety of activities. They come to church wondering what will the ANTICIPATE, RESPOND, STORY, SMALL GROUP be like his week and how will it connect them to God. I appreciate how it is never the same and often pushes us (the leaders) out of our comfort zone by planning different things rather than sticking to the routine and mundane. I believe many of our kids "get it" -- especially if their families are doing the HomeFronts. We have noticed these students are the ones who seem to get it. Our kids are growing in this area and we can tell this during RESPOND time by what they share in the journey and prayer cards. Many have deep questions, prayers, and concerns which may not have been expressed if we were using our former format. We are always seeking and evaluating how we can improve in this area. I am so happy we took the leap and made the transition to Tru." Thank you Cathi. Dawn Heckert also shared with me why she uses tru in her church: "Our church family was going through a process of evaluating curriculum four years ago. We had been awakened to supporting our families and wanted to find materials which would allow our team and leaders to inspire parents and equip the home. We had been looking for a while when we discovered TRU. For us the Pillars of TRU met all of the specific things we had outlined which we wanted for our family faith community. These statements were the heart of where we wanted to focus our ministry. We had realized just focusing on the children on Sunday in our space was limiting God's work at home. TRU has created a common language for our families, our leaders, and our church. The Spiritual Parenting Resource and HOMEFRONT Magazine resource speak the same words we use on Sunday mornings. I love when I hear a parent describe how God's Spirit is taking their family beyond their comfort zone, or how they are serving their neighbors by asking the question 'What needs to be done?' Common language is allowing us to blossom and grow faster than we could ever imagine. 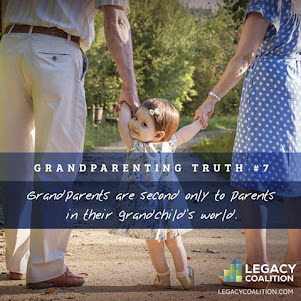 One big change is training our parents and leaders together. Again, everyone being on the same page and understanding how they build on one another was essential. TRU offers our leaders and parents more resources than we could ever imagine. The videos are a quick way to send a reminder. Plus the ongoing conversation on the TRU forum allows us to use ideas from leaders across the country. My leaders were so use to making the perfectly planned lesson. They were filling up all the space with activities and instruction. With TRU they are discovering God wants room to move in the lesson and transformation is better than just information. 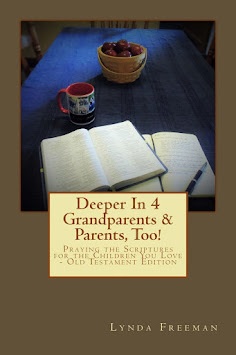 Each month we introduce our families to the Spiritual Parenting Environments. These environments are giving parents tools. They love the HOMEFRONT. 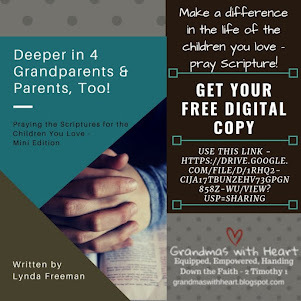 We find our parents using this tool to share their story of faith with their kids. They are modeling faith in everyday life. They are demonstrating love and respect to one another and everyone they meet. Our parents are hungry for us to lead them to become Spiritual Parents. Our children are loving the change of learning God's BIG Story in a meta narrative. We are seeing them connect God's faithfulness as they now understand how God has used and is using many people to show the world Who He Is. One of the favorite lessons for all of our age groups is Remember and Celebrate which happen every 6th and 13th week. They are based on festivals and celebrations from the Bible, but for our kids they allow them to pause and reflect on the Truths they have learned and gives them the opportunity to share with their families, leaders, and friends how it has become part of their story. 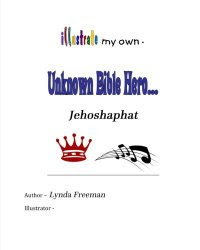 These Sunday lessons are about a retelling of Biblical story and the kids love to do that part. Plus, there are always fun treats involved. Our parents, kids, and leaders are getting something bolder and bigger than before because they are speaking regularly about what God is doing in their lives. They are excited to share their faith stories or talk about how an environment is shaping their homes. Before we focused on Sunday morning. Now we are focused on homes and the difference is learning with TRU to let God lead and join him. It has been a wonderful adventure. One cool fact is we quit hosting VBS in our church because of TRU. After running Spiritual Parenting Courses our parents realized they could do more than they could ever imagine to share their faith. Trusting in God, our families now offer GO BIG - TRU's VBS - in their backyards. We have gone from 150 kids at VBS in our church to over 1,000 participants in our family's backyards. Parents are modeling to the parents of their neighborhoods, kids are telling the most exciting TRU story ever to their friends and the Holy Spirit is transforming lives." 1) Chronological through the Bible in one year. The plan is to go through the Bible once annually for three years (Years A, B & C with different highlights each year). 2) HomeFront Weekly for parents is a PREVIEW (not review) for parents to use to go through next Sunday's Bible passage with their kids. 3) Response - Time for the Holy Spirit to work in children's hearts and let them respond.